Offers excellent value and is poised to become an industry leader. 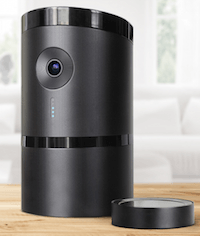 Launched in 2015 by industry veteran, Ira Beer, SkyCover is poised to create some serious noise on the DIY (Do It Yourself)home security scene. With more than 25 years’ experience in high level finance, operations and management in the home security industry, Mr. Beer founded SkyCover with a simple formula for success- provide premium quality, DIY name brand security solutions-at competitive rates…without requiring long term contracts. Based in Newport Beach, CA –SkyCover has the executive leadership that is necessary to make this company a perennial Top 5 candidate and already enjoys an A+ BBB rating. SkyCover Security monitoring services are unique in that the customer has an option to either go month to month- with no long term contract …or take advantage of generous equipment subsidies and lock in the lowest rates with an industry standard 3 year monitoring agreement. Their UL Listed, Five Diamond Certified monitoring station provides 24/7 protection against intrusion, medical and wellness supervision, fire and environmental hazards. SkyCover offers a full range of monitoring options- all of which include fully integrated cellular communication-starting at just $29.99. This eliminates the possibility of defeating the system by disabling cable or landlines. 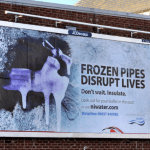 In addition, all of their monitoring plans include remote mobile access and control with their own SMARTLink mobile application and their SmashProof technology which will notify the monitoring station even if the system is destroyed. SMART Control -For $44.95, this plan provides the same features of the basic plans and also includes the interactive home automation capabilities of lighting and small appliance control. SMART Home – The highest level of control and protection includes all of the above features and is enabled to also include full home automation , with door lock and energy management system control as well as video surveillance capabilities. The cost for their most comprehensive package is just $49.99/mo. With the SMART Control plan, you get all the equipment in the basic package PLUS the system gives you basic home automation features and is upgraded with a Z-Wave controller and a light/small appliance module at no additional cost. This will enable you to control any device plugged in to the module through your system, mobile application or web portal! And, if you take advantage of the top of the line SMART Home monitoring service, you will also get a wireless HD Camera with Night Vision and Audio capability that will enable you to integrate video surveillance, door locks and energy management into your SkyCover system…with no additional up front costs for the video camera! The cost of additional sensors are extremely competitive, with door and window sensors starting at just under $30. 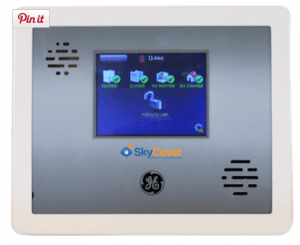 There is a comprehensive selection of equipment available to meet virtually any security, home automation, energy management or surveillance needs- with all Skycover monitored systems carrying a 3 Year Warranty. That’s right…they will even pay the return shipping if you are not 100% satisfied. 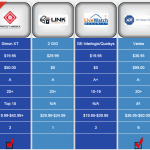 As indicated by their A+ BBB rating, their no questions asked 30 Day Risk Free Guarantee and the availability of No Contract Monitoring, SkyCover shows they believe in a very customer-centric approach to home security. They offer reliable, top of the line, GE equipment with competitive monitoring pricing that includes NO Cost equipment upgrades. 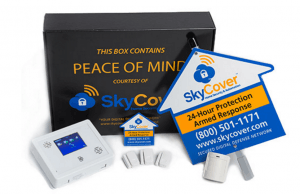 SkyCover may be the “new kid on the block”, but they’re guided by an experienced management team that seems to have their finger on the pulse of the home security market…with a mission to deliver one of the best values in DIY wireless home security. SkyCover is an outstanding option for anyone looking to protect their home and family with a quality security and home automation system, and will likely soon become one of our Top Alarm Companies in 2016! Thank you for visiting. Please feel free to leave comments and feedback on this SkyCover Security Review and/or your experiences with SkyCover below. 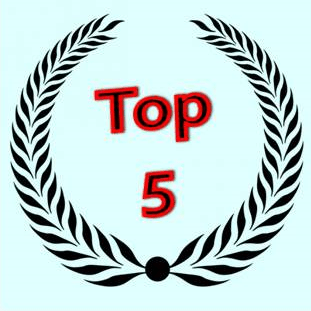 Updated January 3, 2016 by Mike HSA – Having over 20 years’ experience in the alarm industry, Mike has had the privilege of helping hundreds of people protect their homes, small businesses and families with professionally monitored security systems.